NPR reported today that evangelical leaders are seeking to organize a meeting with President Trump this summer at which they intend to confront the president about his alleged affair with, and payoff of, pornographic actress Stormy Daniels. To those who have been following the Religious Right’s support for the president, this story seemed highly suspect because the movement has displayed nothing but blind loyalty in return for Trump’s willingness to enact their political agenda. 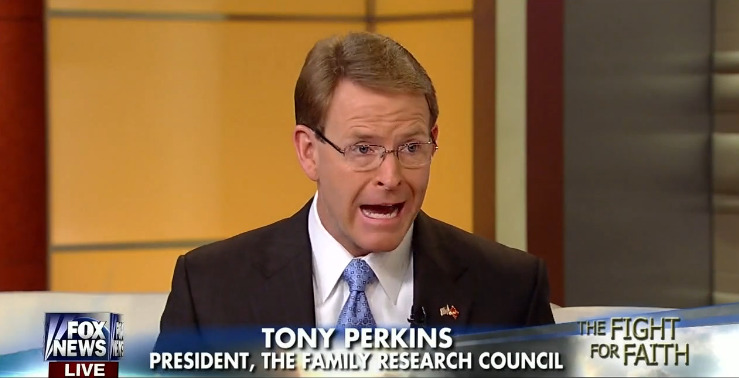 This afternoon, the Family Research Council’s Tony Perkins, who has played a central role in maintaining the Trump/Religious Right partnership, appeared on Todd Starnes’ radio program, where he announced that evangelicals have no intention whatsoever of confronting Trump about his personal immorality. 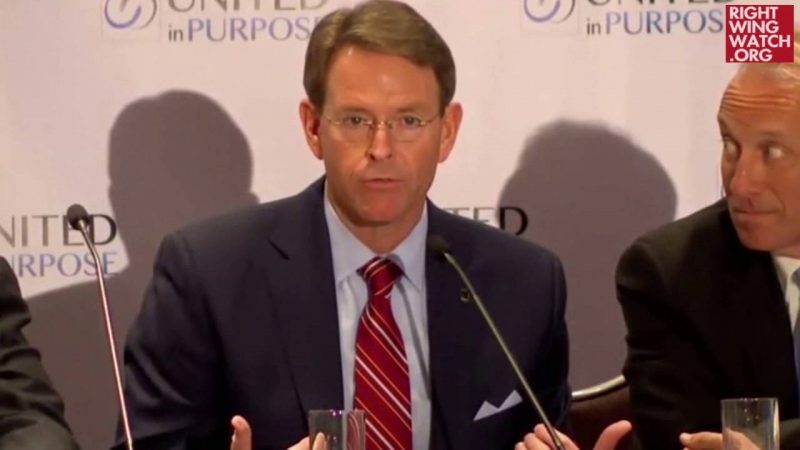 Perkins is among those who are in the process of planning the upcoming meeting, which he explained is intended to be nothing more than a follow-up to the meeting that Trump held with hundreds of evangelical activists prior to the 2016 election. Perkins said that there is a risk that evangelical voters may not be motivated to vote in the midterm elections and so this meeting is designed primarily as a means of highlighting the fact that Trump has largely kept his promises to enact their agenda.